We all love to see how the wealthy spend their money. Jets, fast cars, homes….but how about their pools and waterfalls? This is even more fun to see as there is a big water shortage here in California, so it’s an even bigger status symbol than before as only the very wealthy can afford the water bills for these types of fancy water elements. This could lead to a post of biggest and greenest lawns of the wealthy, but I’ll leave that until later. A pool used to be a status symbol; something that told your peers and neighbors that you’d made it. But no longer — now you need to install gigantic waterfalls and useless reflecting pools to send that same message. These types of water features are increasingly prevalent in real estate listings that crest the $10 million mark, because, in that price range, a Jacuzzi isn’t even worth mentioning (since just about all mansions at that level have Jacuzzis). Want to live next door to Apple CEO Tim Cook? Google Ventures Managing Partner Bill Maris is selling his 2,065-square-foot Palo Alto condo. The home was on broker tour last week and shows very well. It’s in a great area of Palo Alto, the home is nicely done plus, it’s directly next door to Apple CEO Tim Cook’s Palo Alto condo. Maris originally purchased the four-bedroom, three-bathroom home for $1.98 million. I suspect the home will get multiple offers as there are only less than 30 homes on the market in Palo Alto, so it’s going to go quickly. If you are interested to see the home and do not have buyer representation, give me a call…but do it soon. Who knows, you might get some free Apple products down the road if you don’t make too much noise. President Obama and the throngs of secret service will be here Thursday as the President visits our town of Atherton. He will start with a brunch at the home of Liz Simons and Mark Heising and then job on over to the home of Marcia and John Goldman for a lunch. Both stops are obviously to raise money for the democratic party so there will be Atherton’s finest paying top dollar for a meal with the leader of the free world. Various roads will be temporarily closed around the Alameda de las Pulgas and Valparaiso areas, so I would definitely avoid those routes around Walsh Road and the Stockbridge/Selby lane areas. The President will see some of the top real estate this country has to offer as well as lots of construction activity. There are so many homes being built, fixed and updated that driving through many streets in Atherton and Menlo Park will surely convince the President that the economy is surging and people are working. Atherton real estate as well as the area has had a surge in prices over the past year and ranks one of the highest priced areas in the country. San Francisco 49ers fans have a new rival in town – Paul Allen. Yes, the Seattle Seahawks owner has purchased a 27 million dollar mansion here in Atherton. The home was sold to him by an agent in our Menlo Park office and despite being a enemy on the football field, Paul Allen will be welcomed to the area. With all the business happening here in the Silicon Valley, do you blame him? It was evident he would come after his Vulcan Capital announced the opening of their Palo Alto office to continue their expansion into the internet and technology sectors. There are lots of home buyers in the Silicon Valley who look to buy and fix, buy and flip or buy and tear down. Of course, a good percentage of buyers are really looking for a house just to buy and move in to, but with the prices and resale values the way they are, investors and people buying and selling for profit are everywhere. Palo Alto real estate leads the way with investors as there is a built in demand of buyers who are looking for homes due to the success of technology companies, foreign buyers and overall high income earners. A recent article shows that a large percentage of buyers who work in the technology space are looking to buy and tear down, then design their own dream home. It makes sense as “techies” tend to be engineers, and engineers like to design and build things. So, why not build your own home? So, the next time you see a Palo Alto home for sale, think about the lot size and building opportunity to know if you could be going up against a Facebook or Google techie to buy the home. If it’s ripe for a rebuild, then you could face some stiff competition. For the full article, continue reading here. Local celebrity car dealership president lists his Atherton 5BD custom home for $15.8M. The home is beautifully designed and built with lots of custom features, a guest house and pool. It is one of the best built homes you will see as they have spared no expense in getting the home customized to their liking. Bernard L. Magnussen and Sandra R. Magnussen are the sellers and their homes is a five-bedroom, 4.5-bath home at 390 Stevick Drive in Atherton. The 8,111-square-foot home in West of Alameda was built in 2008. It is located in the Polhemus Manor subdivision. Bernard Magnussen is the president of Magnussen Dealership Group, an automotive dealership in Northern California with corporate offices in Menlo Park. If you want more information on this home, please contact me and I can set you up with the listing agent. Mark Zuckerberg buys in Palo Alto! Well, it’s only fitting that Mark Zuckerberg finally buys a house in Palo Alto. After all, he has made billions of dollars while starting his company in Palo Alto, he might as well officially call it home and buy where he works. Soon, he will be working in Menlo Park, but Palo Alto has the claim to fame on tech exec’s homes. The king of Facebook’s home was purchases for just around $7.0 million dollars and the Palo Alto luxury real estate market continues to improve with this sale. The house is nice, and within close proximity to his work and in a neighborhood where he won’t be bothered as the town is full of tech kings. Let’s see how long he lives in it or if he calls this home his main residence, after all, a guy like him might just buy the house to keep the press/news world looking in one direction while he secretly buys a much bigger house somewhere else. 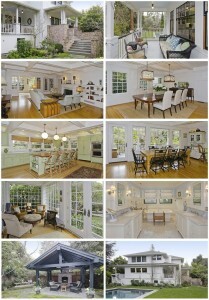 Here are some pictures of Zuckerberg’s home, it is very “Palo Alto ish” and nice. If he wants to buy in Atherton, I have the perfect $6.9 million dollar home listed that he might want to look at due to the size, privacy and great yard for parties or hanging around the pool with the Facebook family.